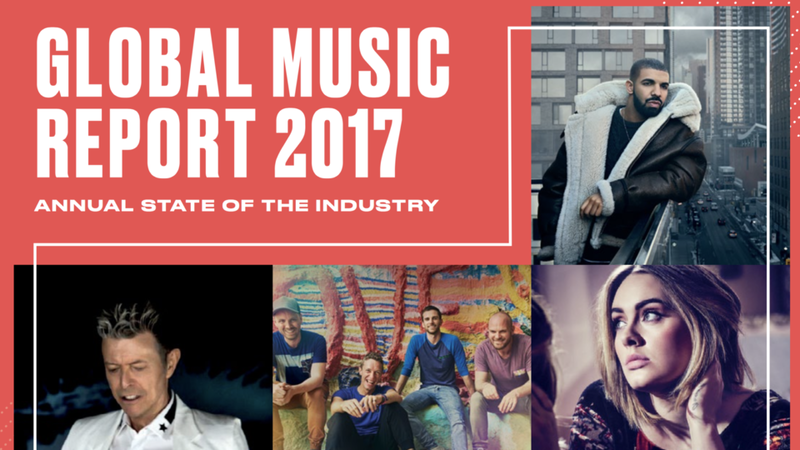 The Global Music Report 2016 documents how the recorded music market performed. Plus highlights industry issues as it advances into the digital age. 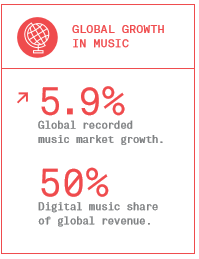 The IFPI Global Music Report has released figures for the global recording industry in 2016. The report suggests a growth in the market after years of declining revenue and distribution models as consumers shift from physical to digital sales, except for a vinyl and cassette resurgence. 2016 has seen the global recorded music market grow by 5.9%, the fastest rate of growth since IFPI began tracking the market in 1997 and the second year of global growth following years of deficits in the region of 40%. Over 100 million users have opted to use paid subscriptions globally, as streaming now passes 50% of total recorded music revenues. Widespread licensing of digital music services is now contributing to competition in the sector. The European market grew by 4.0% in 2016, a slightly higher rate than the 3.7% the previous year. A diverse adaptation of streaming formats has helped, such as Sweden, where streaming revenue comprises 69% of the market. Meanwhile, in Germany – the world’s fourth largest music market – physical sales represent 52% of the total market. Other key findings found physical format revenues declined by 7.6%, a higher rate than the previous year, a decline of 3.9% but still accounting for 34% of the global market. 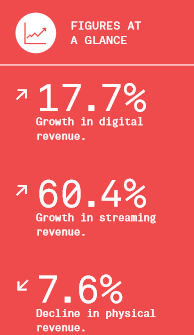 Digital grew by 17.7% driven by streaming, but was offset by a 20.5% decline in digital download income. 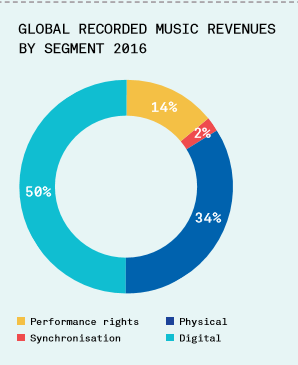 Performance revenue generated by broadcasters and venues grew by 7.0%, making up 14% of the market. In 2016 the US, UK, and France were the three largest performance rights markets, ahead of Germany and Japan. Revenue from use of music in advertising, film, games and television programmes – grew by 2.8% compared to the 7.0% rise in 2015.